Which course is recommended for making a lighter, more permanant lifecast bust? I'm trying to figure out which course would be best suited. 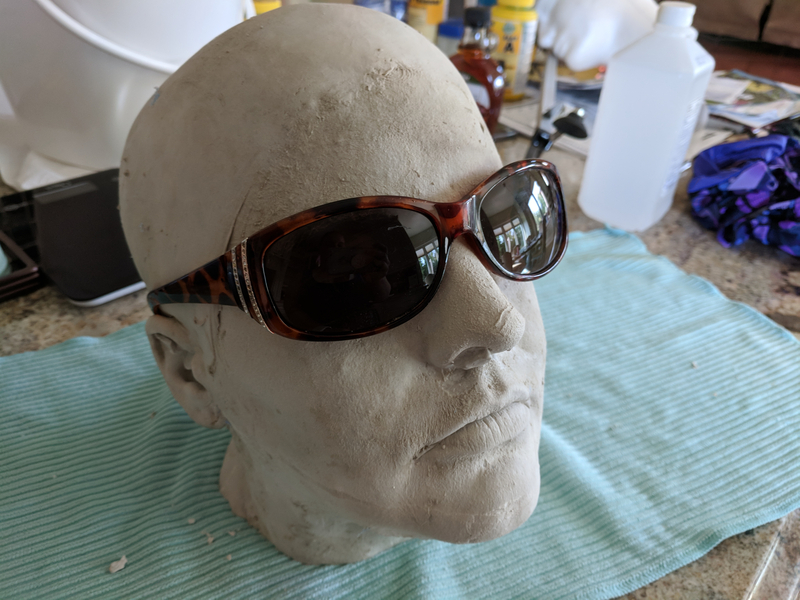 I already have had my lifecast done, and I have my Ultracal bust, I've used it, sculpted on it... but in a lot of resources online and videos I see people referring to making lighter, hollow, more permanent molds. I am not sure I understand this process, or what materials are used. I've seen some, where they are using silicone, and resins, and making "jacket molds" with pour tubes, or slushing ultracal in several layers.... and I just haven't figured out if there is a course or video here that would be best suited to teaching this as a complete topic. I'm even hazy on what the best terminology is here. I've heard words thrown around like "mother molds" and "jacket molds" or "case molds." Any suggestions or info to clear things up? Thanks! We have to decide, which kind of mold or which material we have to use. Its a matter of what material the product shall be and what material the original sculpture is out off. Sometimes its necessary to do a multiple part mold, because undercuts. And others, who have big budgets or are sponsored, are able to do multiple part- big fat epoxy- multi- function molds with a 3 Inch layer of silicone and and 4 inch hightemperature Expoxy jacketmold with pipes for pressing silicone into it or sucking vacuum for degasing the material which was poured in. some people are using special "Body double" silicone to make a mold from an actors head. 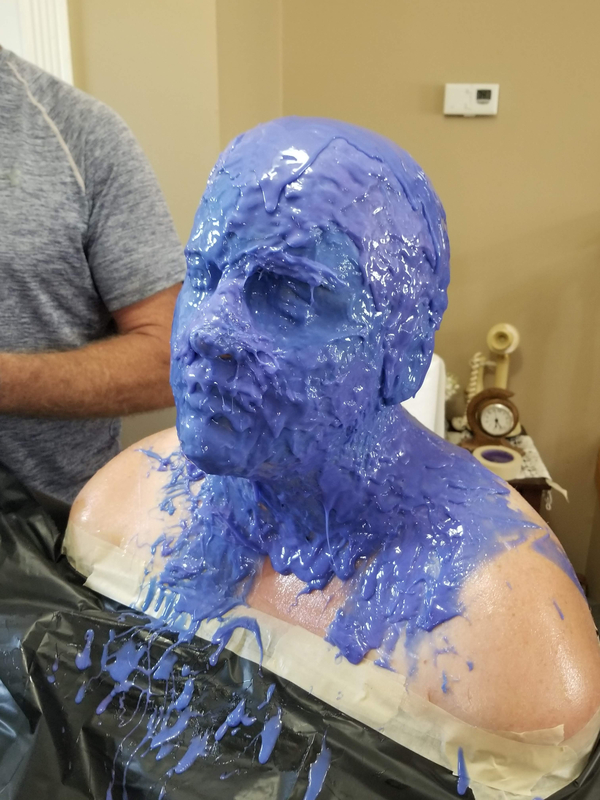 After the silicone has set, they need to do a support shell, which allows the silicone to stay in form after pulling it from the actors head and to pour epoxy in. These support shells are called "Mother molds" or "jacket molds". These pipes allow to pour/ cast silicone right into the gap between core and mother mold. If you want to create your own epoxy lifecast, i highly recommend to let do this by professionals who work with 3-4 people at one time. 1. The special body silicone is very expensive. 2. It could be dangerous if you become panic and the silicone has to get away asap. 3. This silicone sets up very fast, so it might be a lot more expensive, if there wouldnt be worked in several spots at one time. 4. Professionals are looking for a good detail coverage which is the reason, silicone negatives will be made. There is also a part of how to do a silicone Lifecast. I hope it helps and maybe someone other has another explanations. I think I may still be a little confused. So, I have already done my lifecast in Body Double, and made my Ultracal positive. But I was under the impression that the Ultracal positive will eventually wear down after multiple uses? Hence, some people make a more durable one? So this part... I have already done. (Was really cool, btw! Although, my family thinks I'm crazy, haha). But how or what is the method for making a more permanent, longer lasting positive of my head? Do I recast into my silicone negative with an epoxy resin? I keep reading this blog entry on Tested, but I still feel like I'm not understanding the whole thing. Ah okay, great you have a silicone mold, hihi. Yes. you can cast epoxy resin into it and you are ready to take off, hihi. Dont be worry about abrasion. It is usual and you have your ever- lasting silicone mold. Do you know if there are any courses or mini tutorials here that cover that- making a longer lasting mold out of resin, (or whatever material is recommended)? Ooh wow, thank you so much! So it sounds like it isn't an easy pat answer and depends on budget, materials, uses. That helps me understand better, and thank you so so much for the organized reference links you formatted.